The Henry O. Langston Scholar Athlete Award is presented to the student-athlete with the highest GPA on each of the qualifying teams at the annual FHSAA State Football Championships. 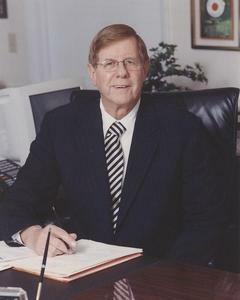 The Award is named after Hank Langston, the founder of the award and dedicated educator in Miami-Dade County for over 50 years. Hank is currently Dean of Faculty and Director of University Affairs at Gulliver Schools, a college preparatory school in Miami. In education and community service, few have the commitment possessed by Henry Langston.